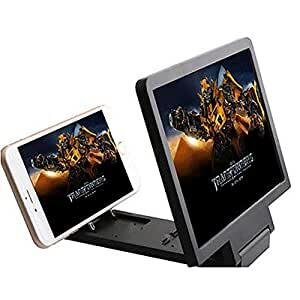 TIEM 3D Screen Amplifier,Magnify screen to protect your eyes.Mobile phone adapter use skid material, prevent slip, fall. Without the power drive, energy conservation and environmental protection. NOTE: If the phone's screen size large than 5 inch, it will display Incomplete. Magnify screen to protect your eyes. Make mobile phone screen bigger, imagery stronger.